Tips and tricks to stay calm, reduce stress, and keep your cool under pressure. Increasing digitalization, trouble with co-workers, impossible deadlines – these and so many other issues can cause major stress in the day-to-day life of working professionals. This constant pressure can cause a host of health problems, both physical and mental, so it’s important to take a few minutes to yourself to ease your mind. When you’re stressed out, it’s easy to get overloaded and think to yourself, “I just can’t do it!” But the thing is, you can. If you find yourself doubting your abilities your work is likely to reflect that attitude. Unless you work for yourself and by yourself, you most likely have a boss. When you start to doubt yourself, just remember: your boss hired you for a reason. He/She trusts that you are the right person for the job and capable of all things required of you. If you can’t believe in yourself, at least believe in their capability to find the best person for the job – You! Endless to-do lists, always being in a rush, and looming deadlines are enough to make anyone stressed out. Having so much responsibility can be crushing but having a good time management strategy will relieve the pressure and help you do your best work. Garth Vickers, founder of Business Academy and CEO of Vickers Financial Group, gives some tips about the hard truth about time management including getting a planner, focusing on the most important work, and kicking multitasking to the curb. Short to-do lists can be helpful, but when things keep getting added to the list it’s hard to prioritize when to do which task. If you get a planner, you can set realistic goals for yourself, keep on task, and sort out which work is the most important. Many organizations hold multitasking as a highly desirable ability in their employees, but it can be a total killer of your productivity. Some jobs are just too big to try to work on multiple tasks simultaneously. Instead, break your project down into manageable portions and focus on completing one at a time. There are plenty of ways to reduce your stress level at work, but the first tip is to make time to do them. Set a timer to remind you or get a smartwatch that gives you notifications if you’ve been sitting too long. Study after study prove that sitting too long at work is becoming a major risk to health and longevity. Getting up and moving around is a good way to give yourself little breaks during the day and is good for your health. Go for a walk around the office or just get up and stretch. Breathe in, breathe out. Meditation may seem like a whole process you don’t have time for, but in reality, it’s as simple as just taking a small break. After you’ve gotten up and moved around a little, take another 3-5 minutes to close your eyes and focus on clearing your mind, relaxing your muscles, and taking deep measured breaths. That’s it – Simple! Meditation is a great way to relax for a short time but it also helps to increase your focus. So, you get two benefits from meditation, relaxation and increased mental focus, both of which will help your job performance. Another good way to relax is mental exercises. This is not a hard and fast rule, so play with different ideas and make up your own. One thing I’ve heard others do is to envision someone they admire in their field and try to think of what they would do in a situation. Another technique is to put yourself in someone else’s shoes. Whether a customer or co-worker, you never know what another person is going through, so don’t take it personally and try to empathize with how the other party sees the situation. One final tip: practice, practice, practice! Even when you aren’t stressed out following the techniques above during your everyday life will help put you in the habit of doing these things. So, when you do find yourself in a stressful situation, you will do these things naturally without even having to think about them. 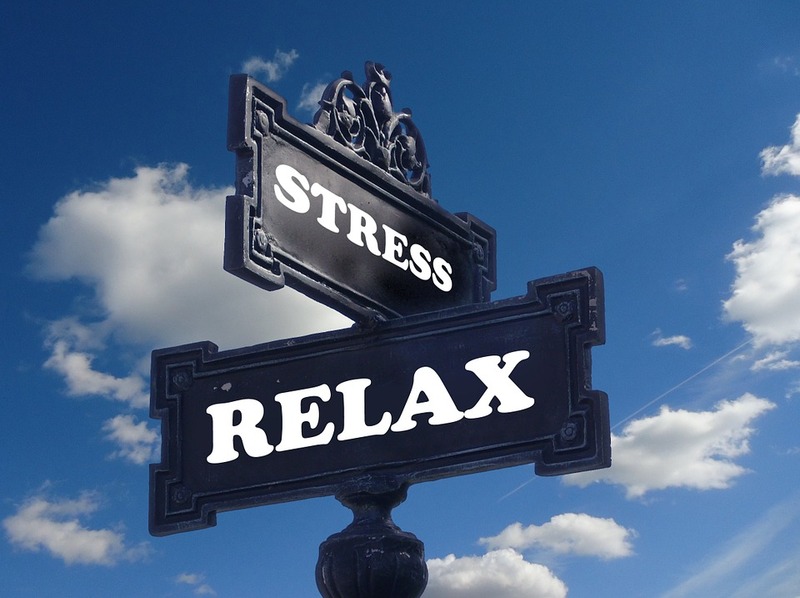 Feel stressed can be awful and have big impacts on your personal and professional life, so finding ways to deal with and eliminate (or at least lower) your stress rates is crucial. Freelance writer, journalist, publicist and a bit therapist. Food, travel, lifestyle, relationships. Lover of chocolate cakes, wine, traveling and bachata. Dreamer. Achiever.